Andrew Rannells & Colin Donnell Step Out To Support 'Home for the Holidays' Broadway Opening Night! Andrew Rannells is all smiles as he hits the red carpet at the Broadway Opening Night performance of Home for the Holidays – The Broadway Concert Celebration held at the August Wilson Theatre on Tuesday (November 21) in New York City. The 39-year-old actor was joined at the event by Chicago Med‘s Colin Donnell and his wife Patti Murin, Constantine Maroulis, Ryan Cabrera, James Brown III, Marti Gould Cummings, and the stars of the musical Candice Glover, Kaitlyn Bristowe, Josh Kaufman, Bianca Ryan, Evynne Hollens, Jonathan Tessero, Peter Hollens, Danny Aiello and producer Michael J. Guccione. Drawing from a rich musical catalog that rivals only Broadway itself, Home for the Holidays features three of the greatest voices of their generation performing contemporary takes on more than 25 perennial favorites. Home for the Holidays runs through Dec. 30 at the August Wilson Theatre! Kat Graham & Katherine McNamara Party with Santa Claus! Kat Graham looks like she’s having a blast with Santa Claus while on the red carpet at the 2015 Hollywood Christmas Parade held at The Roosevelt Hotel on Sunday (November 29) in Hollywood. 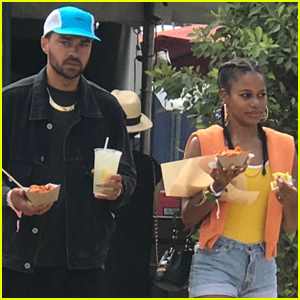 The 26-year-old The Vampire Diaries star was joined at the event by Katherine McNamara, Garrett Clayton, Brett Dier, Alex & Sierra, Dance Moms‘ JoJo Siwa, Candice Glover, and Mark Ballas with girlfriend BC Jean. The Vampire Diaries returns after a few weeks off this Thursday with the all new ep titled “Hold Me, Thrill Me, Kiss Me” — be sure to watch! FYI: Katherine is wearing an NBD skirt and Alice & Olivia shoes. Kat is wearing a custom dress. Ricky Martin and Christina Perri hit the red carpet while attending the 2014 Life Ball on Saturday evening (May 31) at City Hall in Vienna, Austria. Both of the singers to the stage that evening to perform for the crowd at the annual AIDS charity fundraiser. American Idol winner Candice Glover also was one of the night’s performers and from the photos of her set, it looks like she gave one epic show! “From the after party to the plane 😩 it was fun Vienna. Thank you again for having me sing the official #LifeBall song 2014! 😘 #NoSleep,” Candice tweeted after the event. FYI: Christina is wearing a Alon Livné dress. 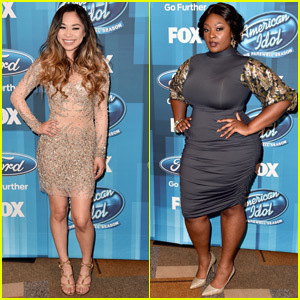 American Idol's Candice Glover Releases First Music Video! Check out the premiere of Candice Glover’s first ever music video for her brand new single “Cried”! 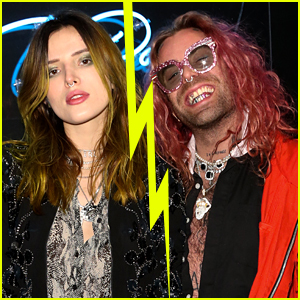 The 24-year-old singer was the winner of this year’s twelfth season of American Idol and she is currently working on her debut album Music Speaks. Candice recently spoke with Centric TV to give her advice to people who don’t feel confident in themselves. 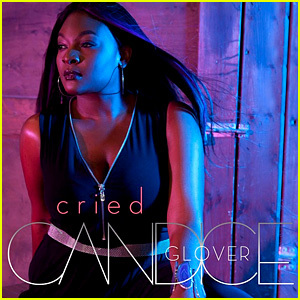 American Idol season twelve winner Candice Glover‘s brand new song “Cried” is this week’s pick for JustJared.com and KIIS-FM 102.7‘s JJ Music Monday. This is the second song off of the 24-year-old singer’s upcoming album Music Speaks, which is set to be released on February 18. Candice previously released her song “I Am Beautiful,” which was her Idol coronation track. “Today’s gonna be a good day :) make sure you download “Cried” on iTunes now!” Candice tweeted. 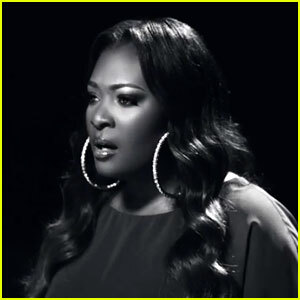 WHAT DO YOU THINK of Candice Glover’s song “Cried”?